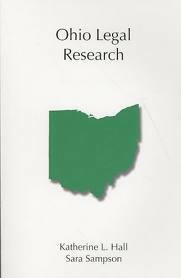 Guide based on Cleveland-Marshall's Ohio Primary Law Research Guide. Covers Ohio cases, statutes, legislative history, regulations, and administrative decisions. This guide is intended to provide basic information about legal research. Putnam and Schaefgen. Parts available via Google Books.